Happy St. Patrick’s Day! The Maple Leafs continue to fall down early in games and paid for it this week. 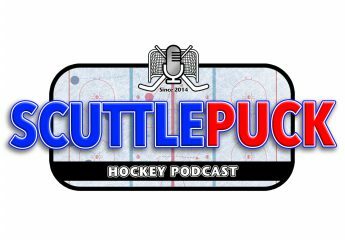 The Pulp Hockey Podcast called it quits this week. We look at league wide attendance and there are some surprises at the top and bottom. FedEx ad as discussed last week. Episode Marc Andre Fleury (229): MERRY CHRISTMAS! Leafs are rolling. Oilers are not. World Junior Championships! As we hit the Christmas break, the Leafs are rolling along and the Oilers are struggling. World Junior Champs are coming up. We look at our pre-season predictions and see how we’re doing. Beautiful, but is it a slap in the face? Banter -Tibb’s Eve. Ready for Christmas. Hurricanes wear Whalers sweaters – is that okay? Patrik Berglund – what’s the deal? Hot/Not – TBL / WPG are hot. CAR / AZ are not. DOPeS – Khaira and Karlsson suspended. Episode Claude Giroux (228): Tim Peel Scores! Oilers are Hot and Edmonton is in Love with Hitchcock but Not Andrew Ference. Ference shows his respect for his Oilers teammates. Referee Tim Peel scores a goal. The Oilers continue to be hot under Ken Hitchcock and Mike’s a bit hot after Andrew Ference threw some his Oilers teammates under the bus. Lots of players on pace for over 100 points. Offer sheets – will this be the year? Leafs continue to do well when Mike watches. Look at all the players on pace for 100 points! Episode Wilf Paiement (199):Lightning Advance. Mark Allred Guests. Lamoriello Out as Leafs GM. Round 2 Update. Tampa Bay is first team to advance to Conference Final after defeating the Bruins. Mark Allred joins us to tell us all about it. Lou Lamoriello’s GM term ends and he’s not renewed. Tom Wilson gets his comeuppance and Brad Marchand is just gross. All the updates from Round 2 of the Stanley Cup Playoffs. Feedback – Go Pro in nets? DOPeS – Tom Wilson gets 3 games. News – Lamoriello out as Leafs GM – who will replace? Episode Jay Beagle (183): TOTW New Jersey Devils. DOPS are Dopes as Dustin Brown Gets Fine. Pete is back as we discuss how George Parros’ DOPS continues to send the wrong message to the players. TOTW is the New Jersey Devils. Pete loses it on the Habs and it seems Darren Dreger is out to get Peter Chiarelli. Dale takes us Down the Rathole to discuss NHL Ironman streaks. ScuttlePuck is proud to be sponsored by HealthIQ. 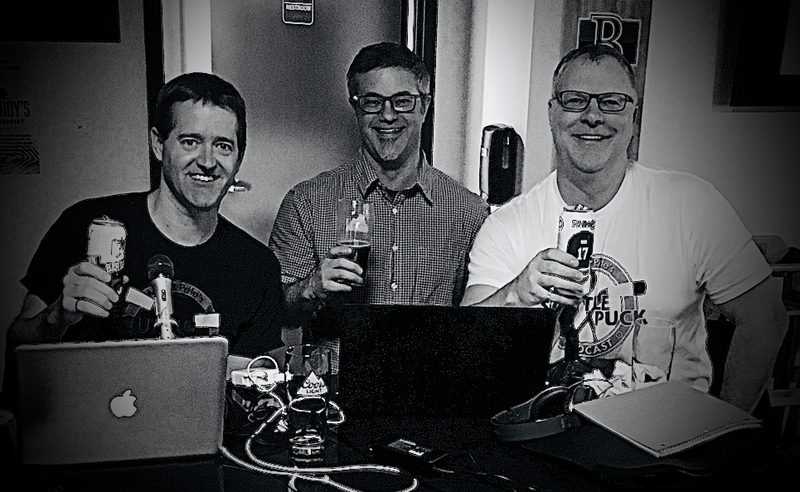 Opening Banter: Mike was on Broadstreet Bully Podcast, and has a big month of February for NHL games. Trade Deadline – who will go where? Is Dreger trying to get Peter Chiarelli fired? Offside Challenge – how do we fix it? Round 2 is done and we’re on to Round 3. Ducks vs Predators and Senators vs Penguins. Mike hates how the NHL lets mediocre players neutralize the stars. What does the future hold for the Oilers? Jim Benning is looking for European skill and North American heart, leaving him open to questions about the Sedins. Should Crosby have been removed from the game against Washington? Where does Washington go from here? Pittsburgh Penguins vs Washington Capitals – Capitals fail again to get to the conference final. Slava Malamud thinks it’s all because of Ovechkin. Jim Benning perpetuates all the stupid stereotypes in one sentence. Is Crosby’s concussion an issue? What’s next for Oilers? Caps? Episode Nazem Kadri (143):Josh Ho-Sang Dares to Wear 66. Bill Peters finds Eddie Lacking. Armdog and Whitney Dis Smytty. With the trade deadline behind us, lots of silly stuff to talk about this week. The controversy over Josh Ho-Sang wearing Mario’s #66, Bill Peters rips Eddie Lack and Colby Armstrong and Ryan Whitney just mock Ryan Smyth for no apparent reason other than some cheap giggles. Is it a sin for Josh Ho-Sang to wear #66? Colby Armstrong and Ryan Whitney attempt to tell a funny story, but it goes awry and ends up being just about mocking Ryan Smyth. Was this what they intended? Some highlight reel goals last night (see below). 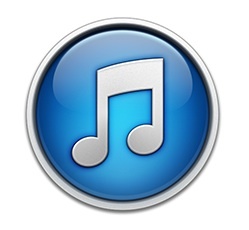 If you like what you hear, subscribe and leave a review on iTunes.